PORTLAND, Ore. (AP) — The Blazers weren’t going to let this one slip away down the stretch. 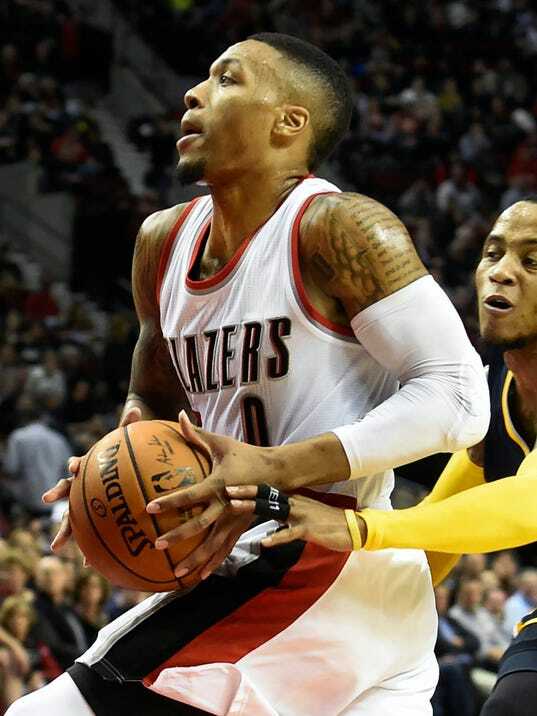 Damian Lillard had 26 points and backcourt partner CJ McCollum added 21, and Portland snapped Indiana’s six-game winning streak with a 123-111 victory Thursday night. The loss snapped the Pacers’ four-game road winning streak. The Pacers haven’t won five straight on the road since the final five road games of 2011-12. Mason Plumlee added 12 points and 10 rebounds for the Blazers, who had a season-high 18 3-pointers in their seventh straight victory at home against the Pacers. Allen Crabbe had a career-high 18 points, sparking Portland off the bench with 11 points in the fourth quarter alone.